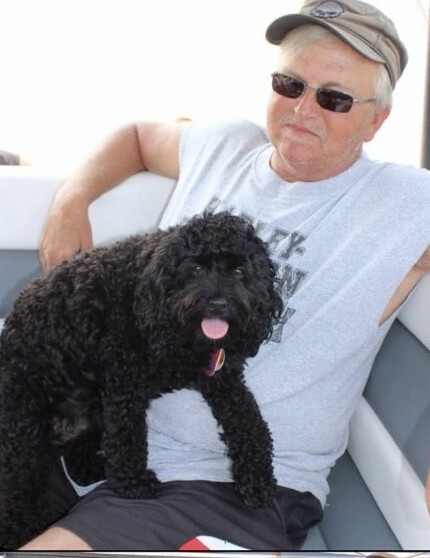 Ray Junior Beier, 66, of Bellevue, died unexpectedly, as a result of a motorcycle accident, on Monday, April 8, 2019. Ray was born in Fremont on May 13, 1952 to Raymond and Virginia (Woolaver) Beier. He attended Thompson High School, then upon consolidation with Bellevue Schools, graduated from Bellevue High School in 1969. On July 21, 1973, he married Marlene Dean. She preceded him in July 27, 2014. Survivors include their two sons, Chad (Kelly) Beier and Christopher (Rhonda) Beier all of Bellevue. Six grandchildren, Andrew, Brooke, Brock, Jacob, Drew and Hugh, along with a sister, Ina (Bernie) Rospert of Bellevue and a brother, Keith (Tina) Beier of Clyde, and a sister-in-law, Karen Beier of Clyde also survive. A special friend, Vickie Whitt, Bellevue. His beloved friend, Harley, is left to miss him. Visitation will be on Friday, April 12, 2019, from 3-7:00 pm at the Auxter Funeral Home, 1105 Castalia St., Bellevue. The funeral will be on Saturday, April 13, 2019 at 10:00 AM at the funeral home with Rev. Mark Bogen officiating. Burial will be in Bellevue City Cemetery.